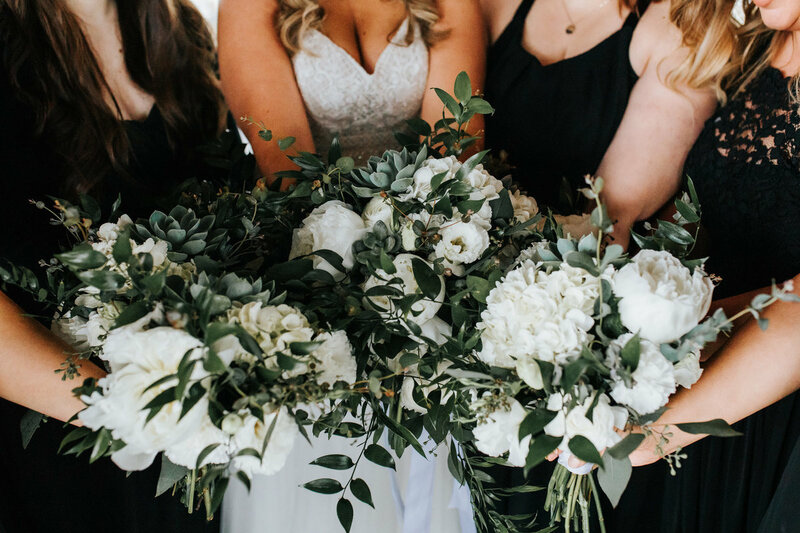 Rachel gave us complete control over the her Bridal Party's bouquet design. 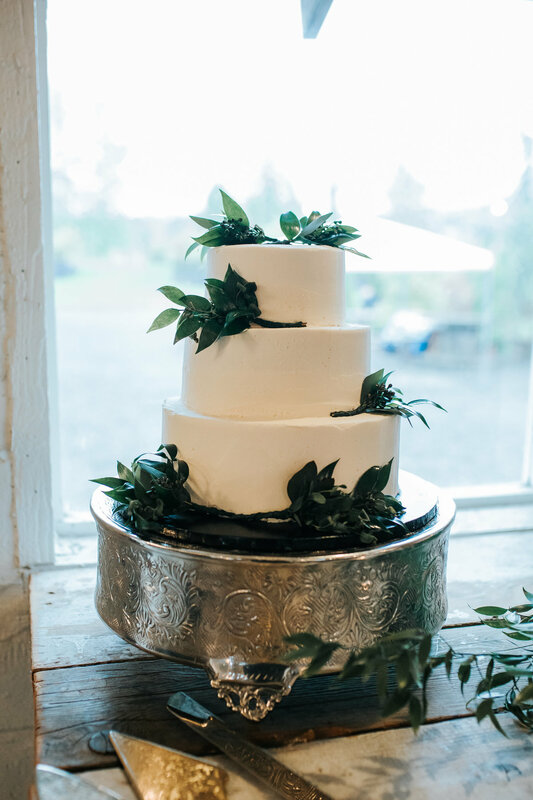 Being no stranger to White blooms and Greenery, we played with a horizontal garden-inspired shape. 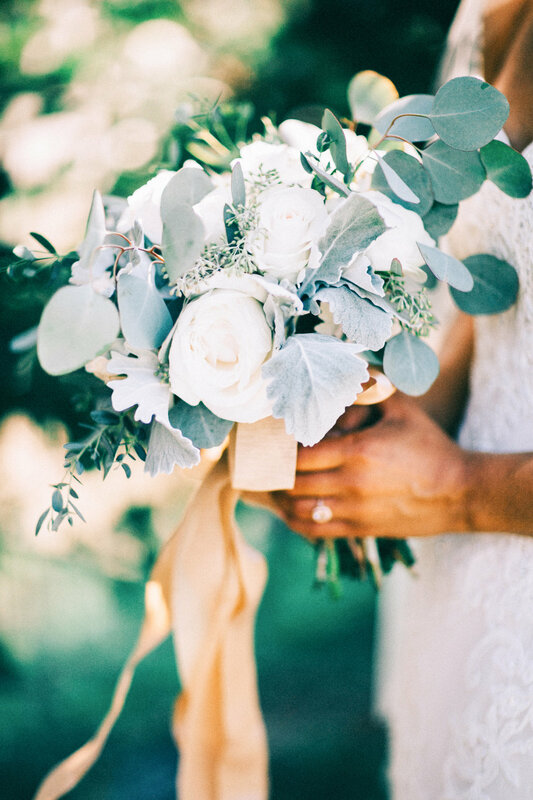 Dusty greens organically draped over the Silk Ribbons by Hey!It'sOhSoPretty. 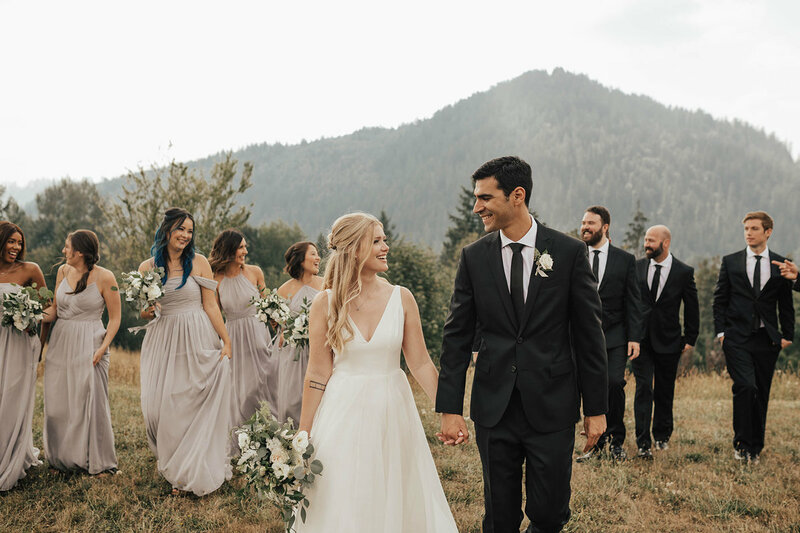 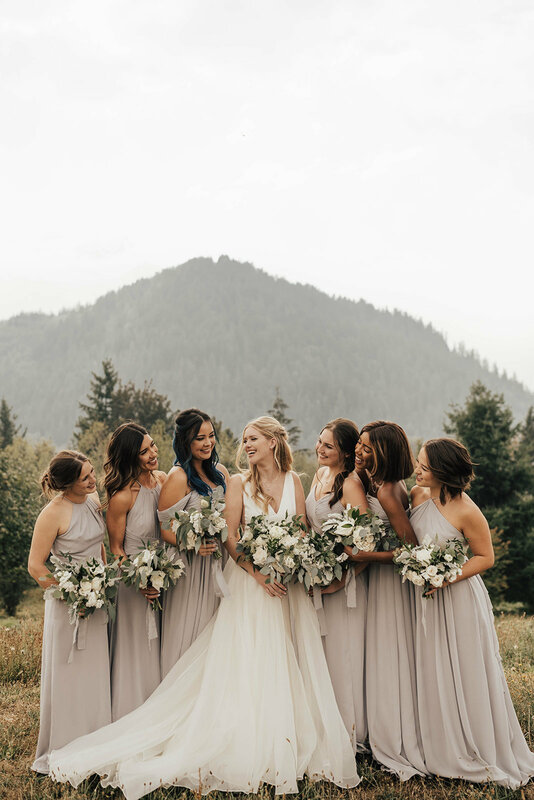 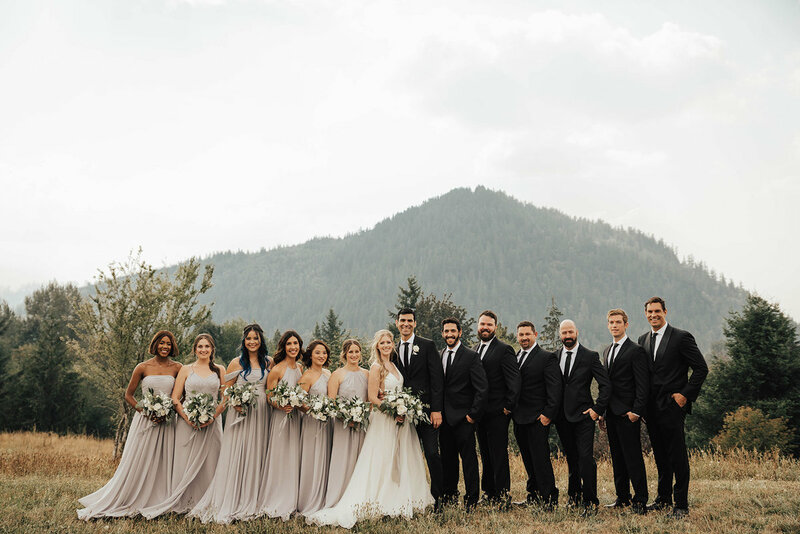 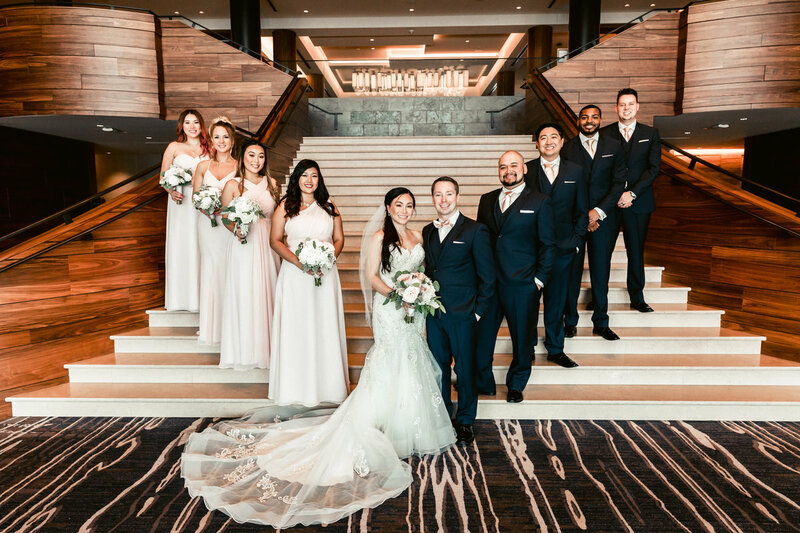 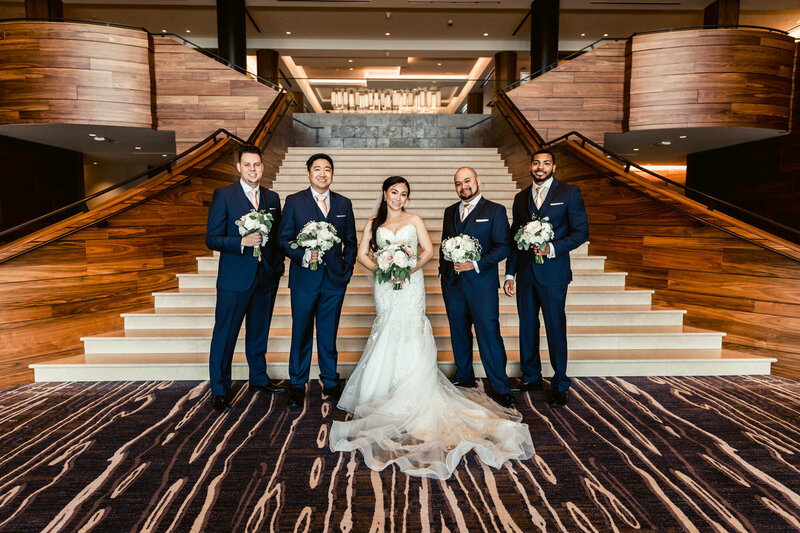 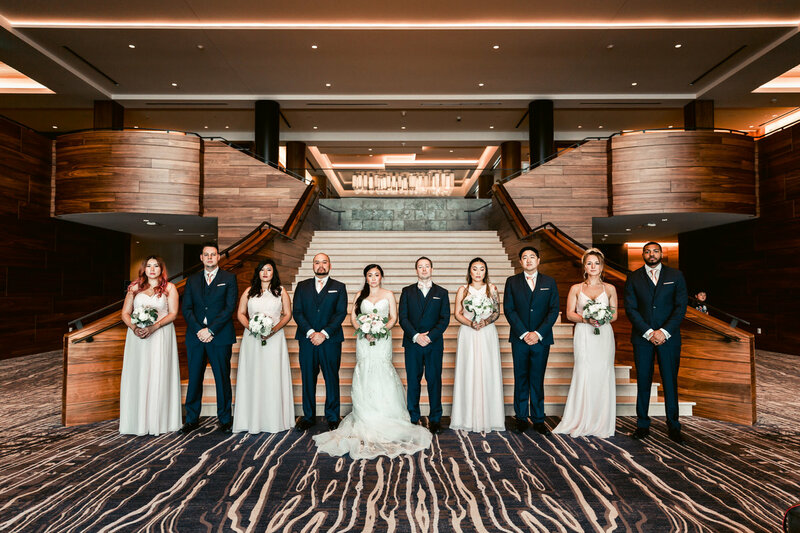 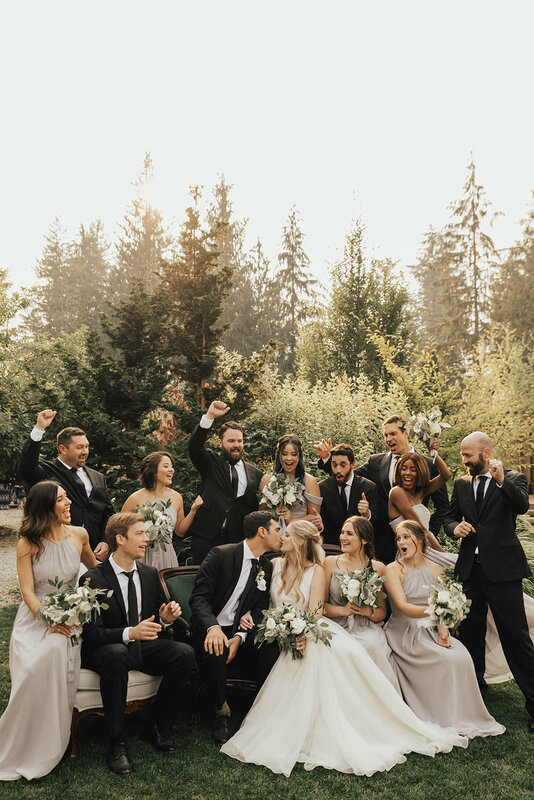 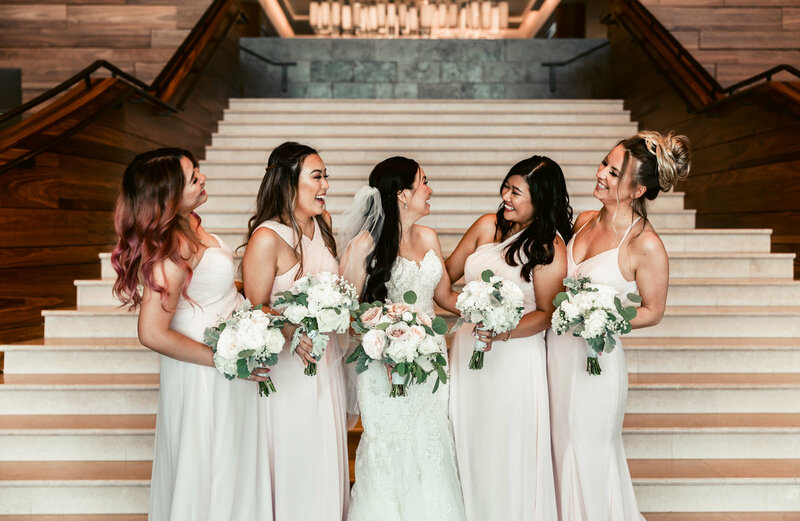 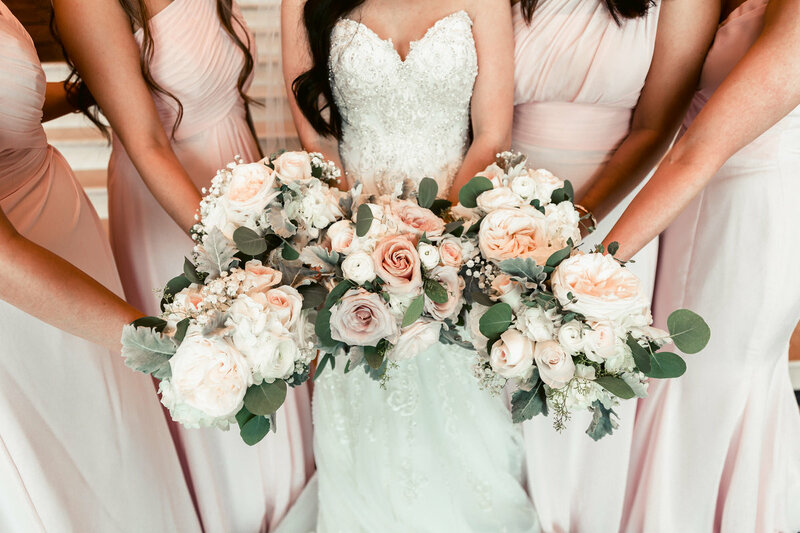 Sola the photographer, captured the Bridal party and bouquets so perfectly, we had to share the pics! 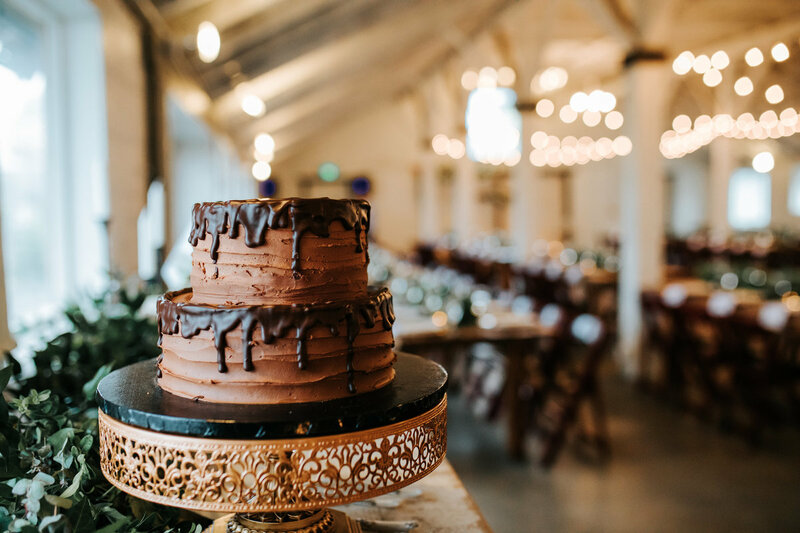 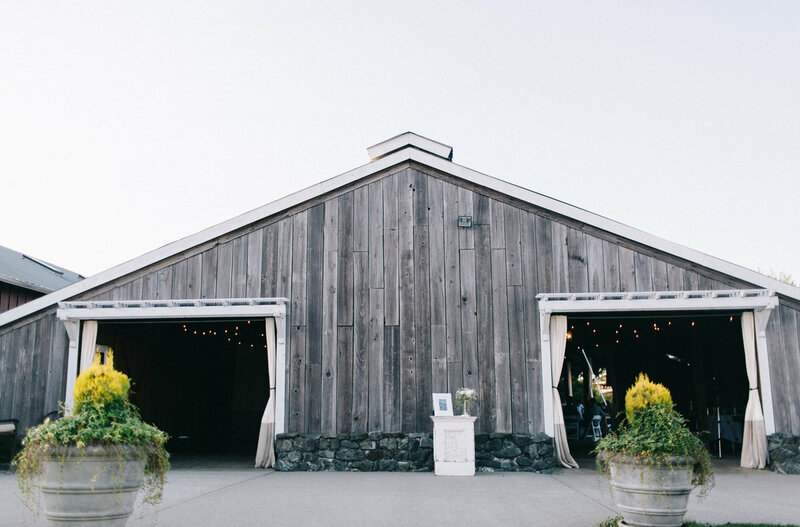 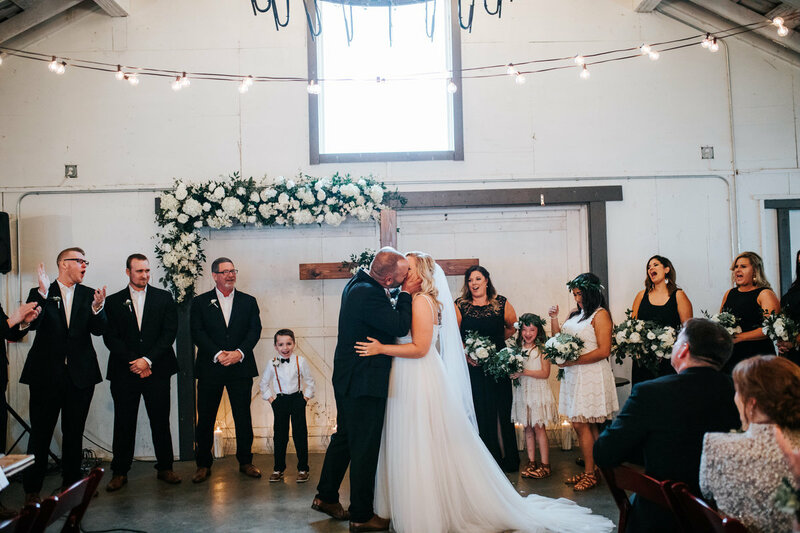 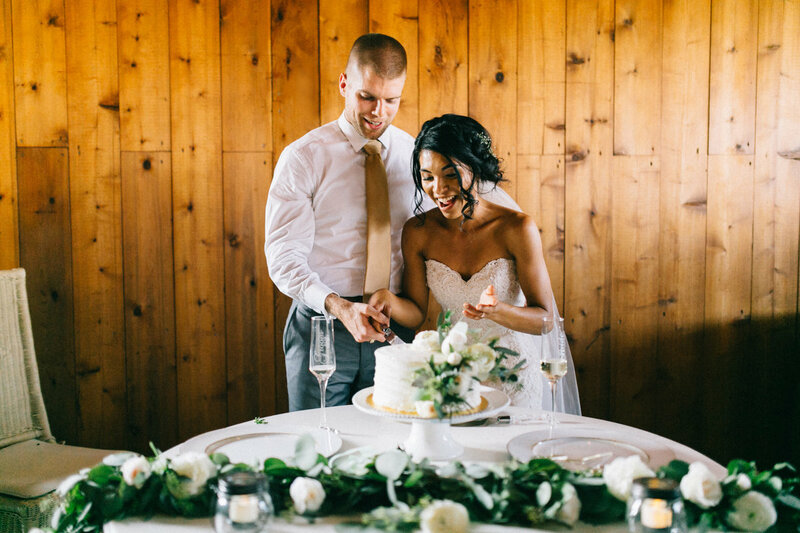 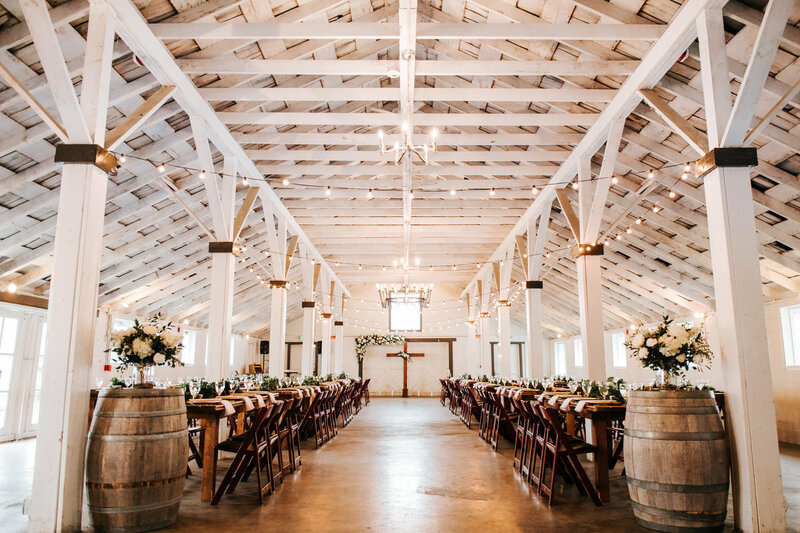 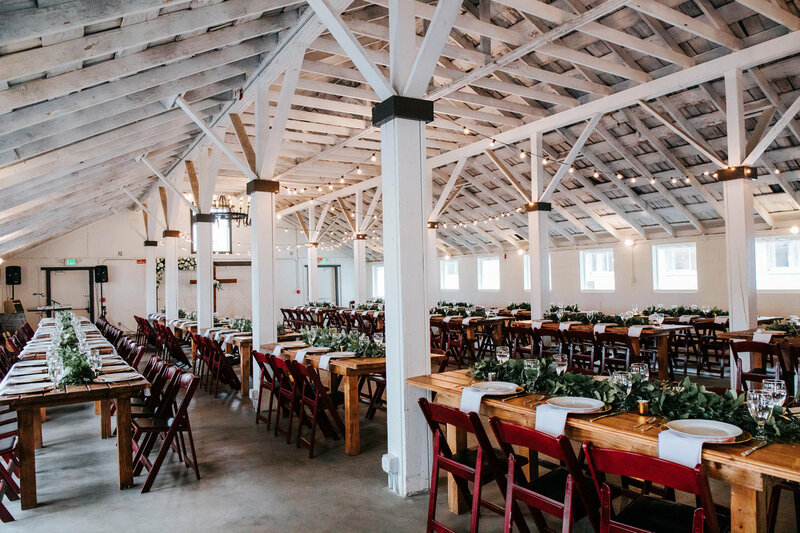 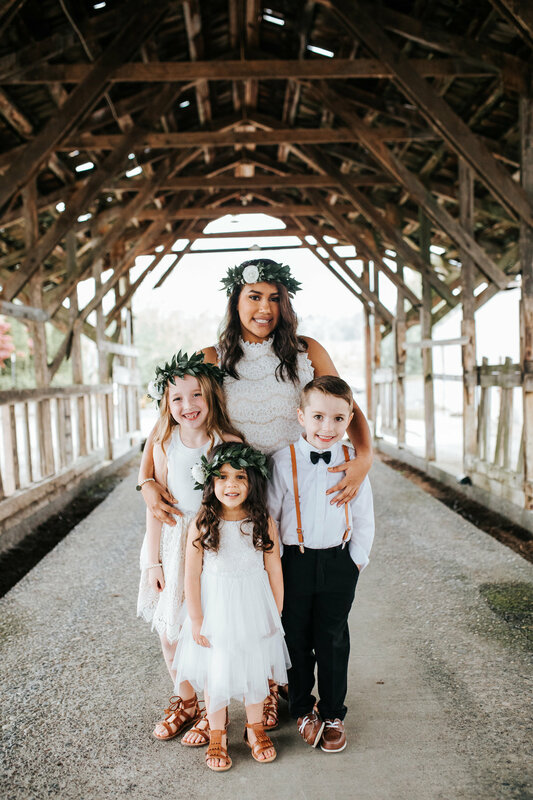 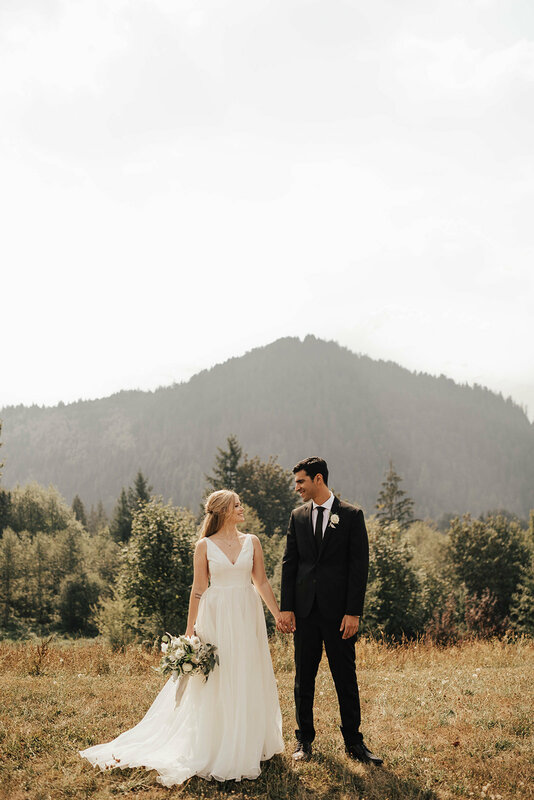 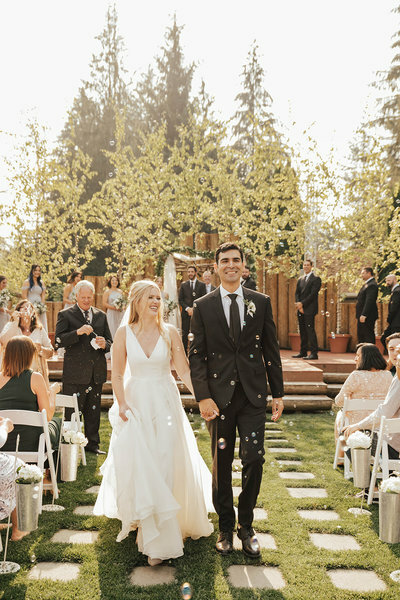 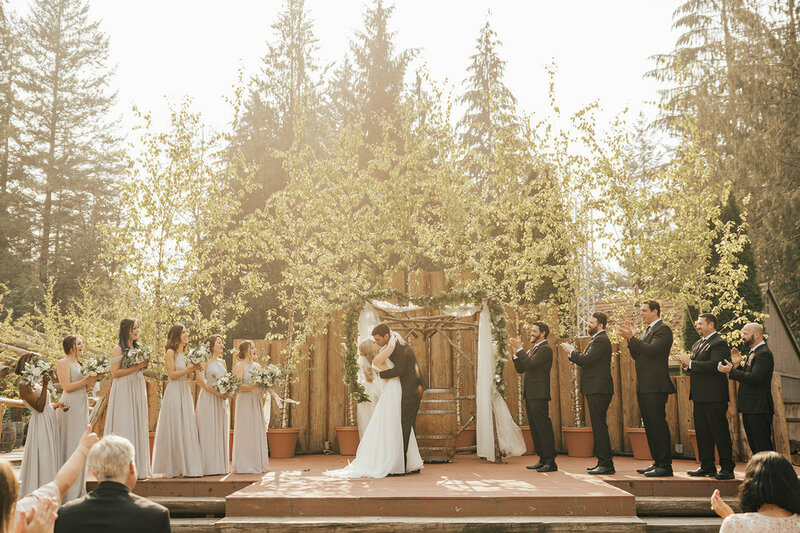 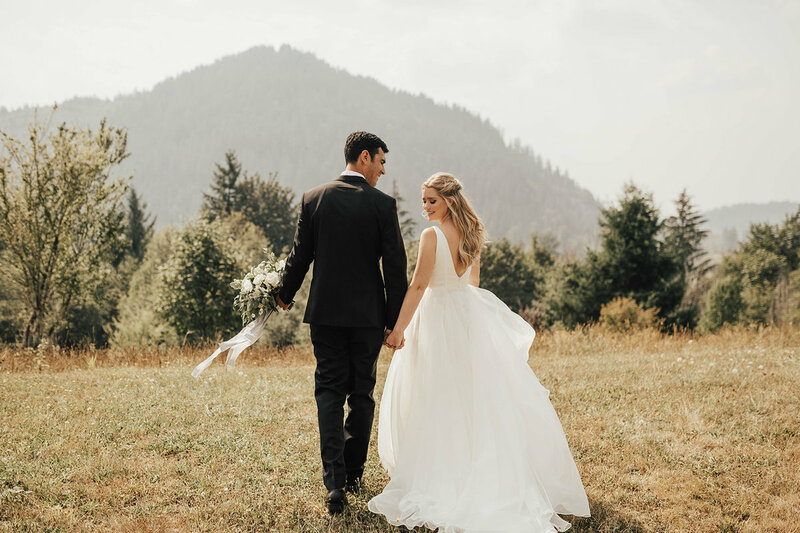 Light April showers could not dampen the mood at this charming barn Wedding in Snohomish. 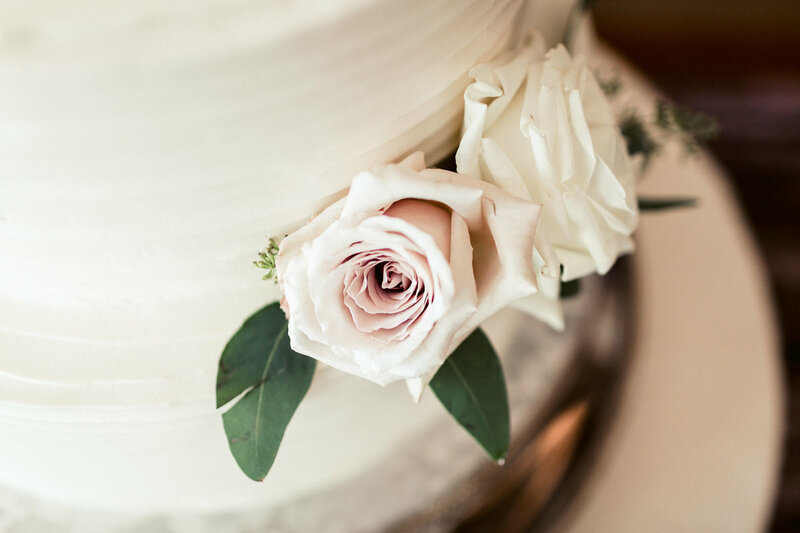 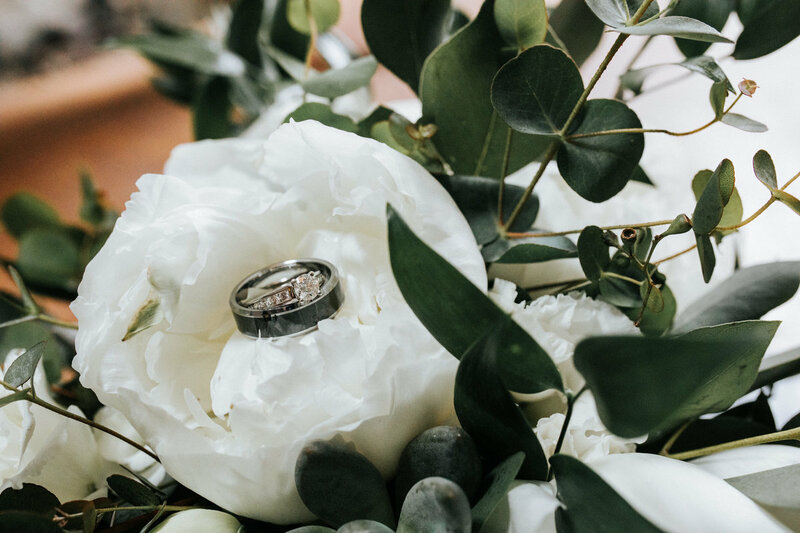 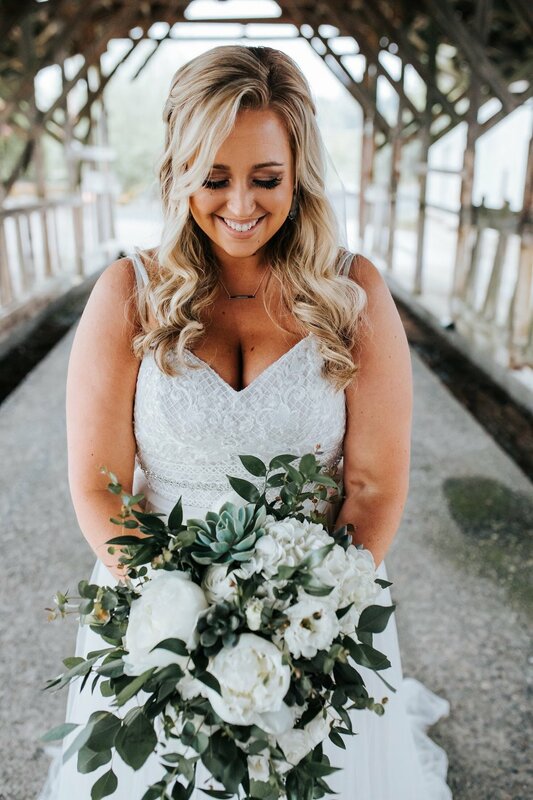 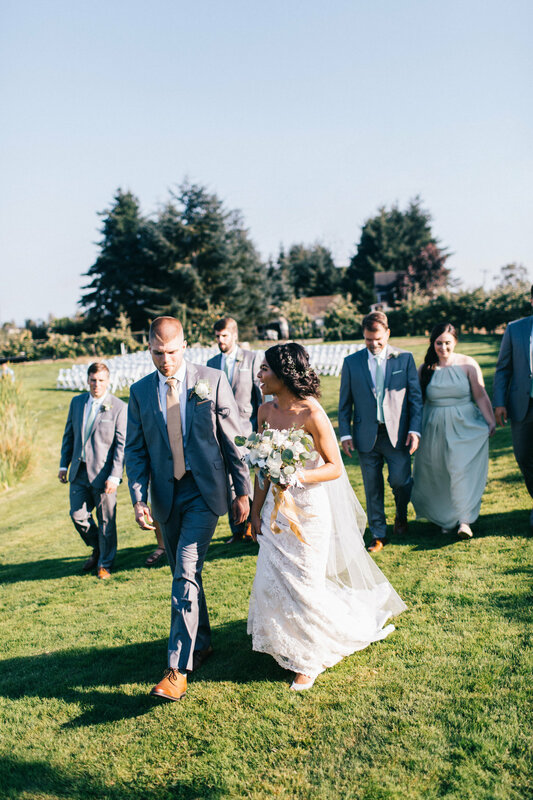 Crystal's flowers were full of lush Cream Peonies, Tibet Roses and Hydrangeas. 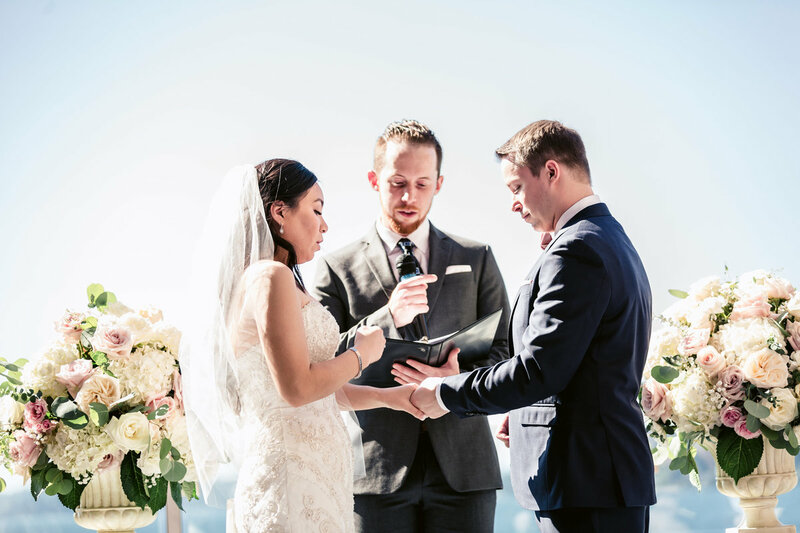 For the Ceremony we did an asymmetrical installment and a custom wooden Cross. 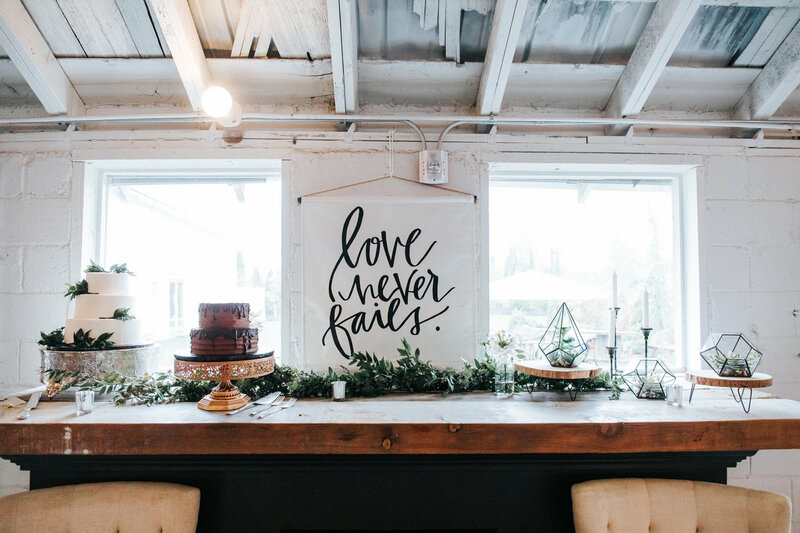 Fluffy Garlands ran along rustic farm tables and metallic floral hoops hung over the BBQ buffet. 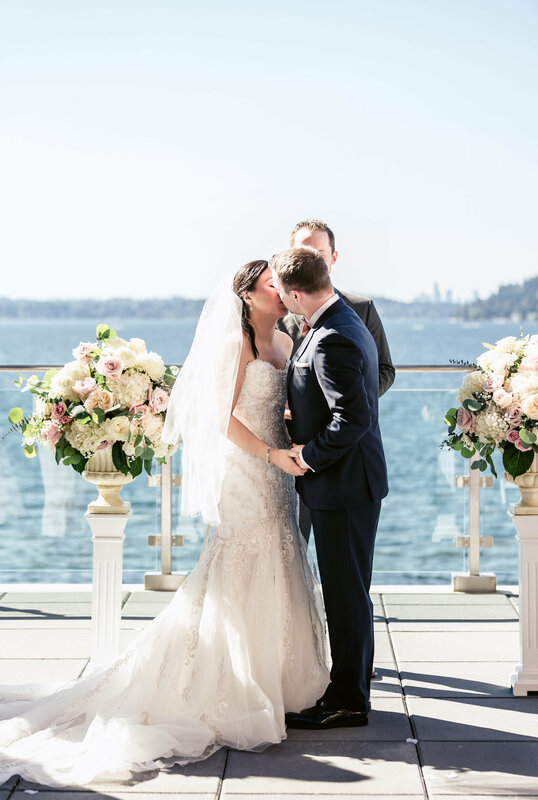 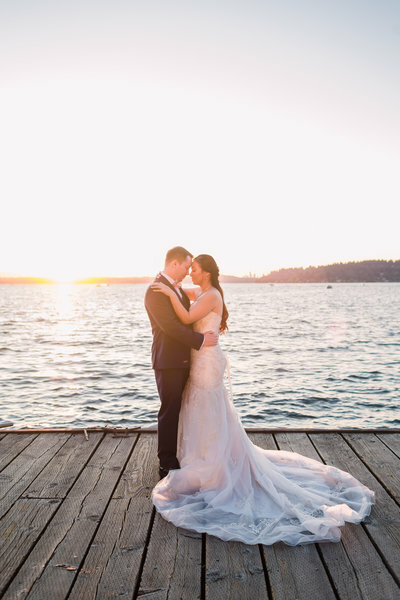 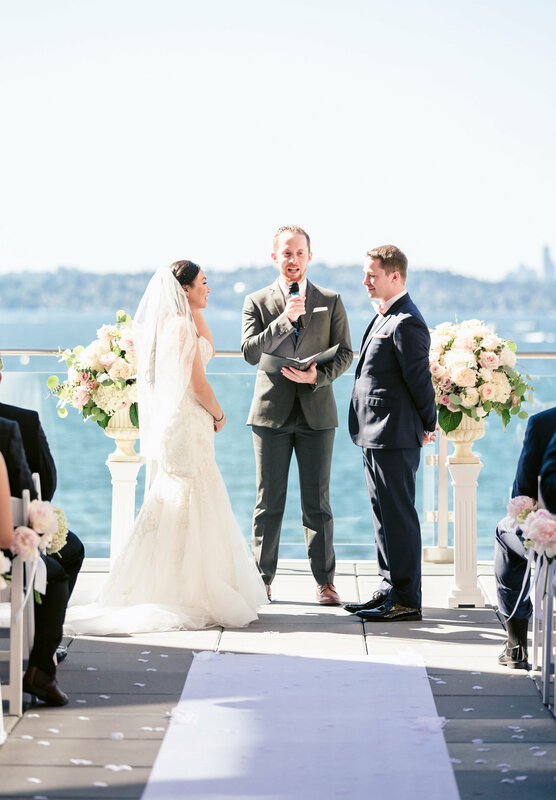 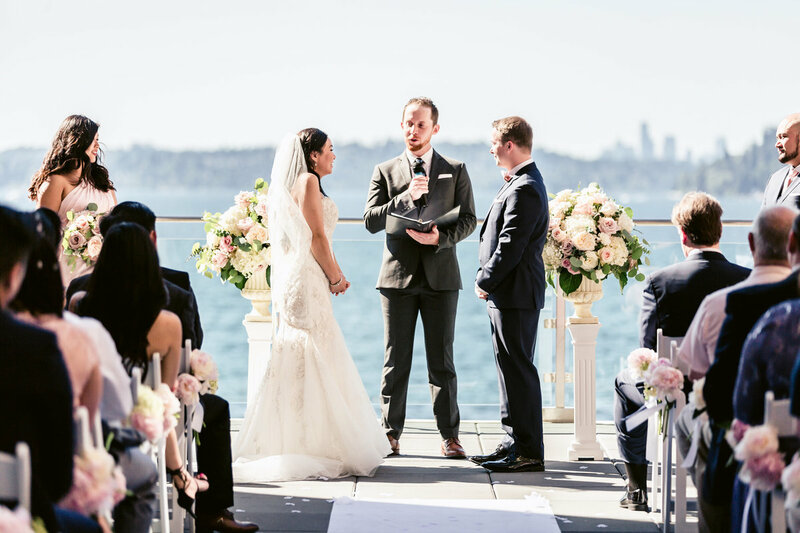 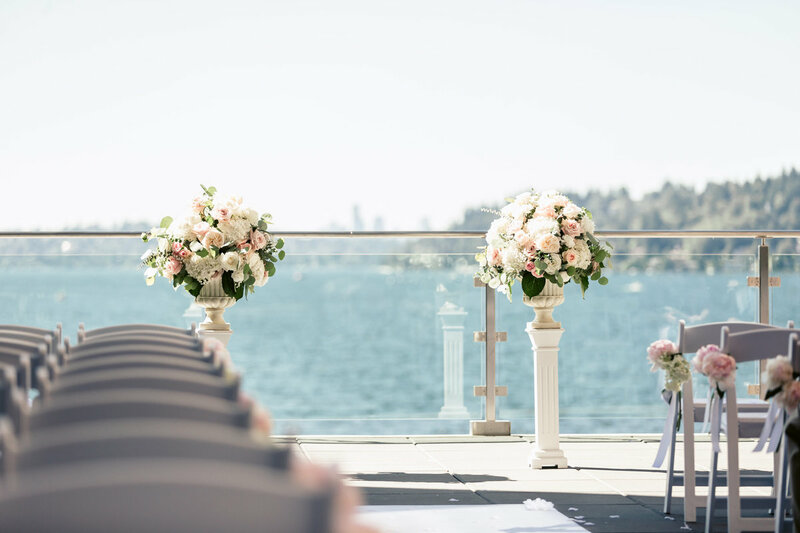 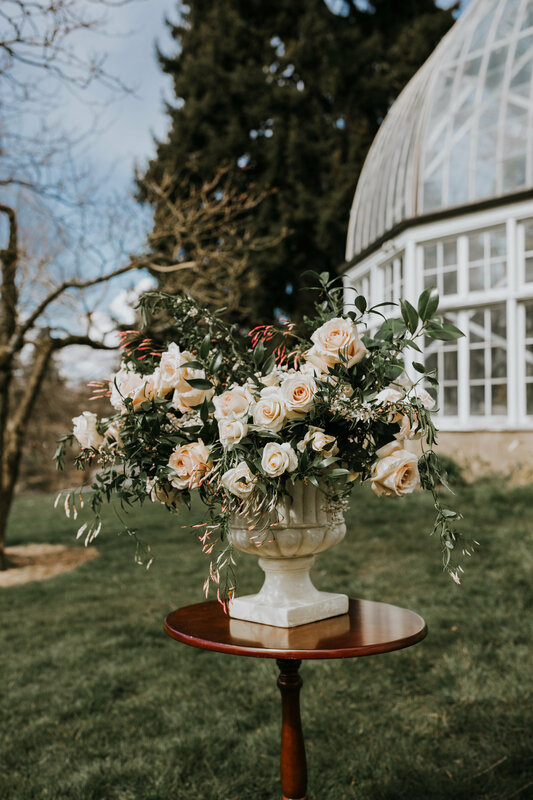 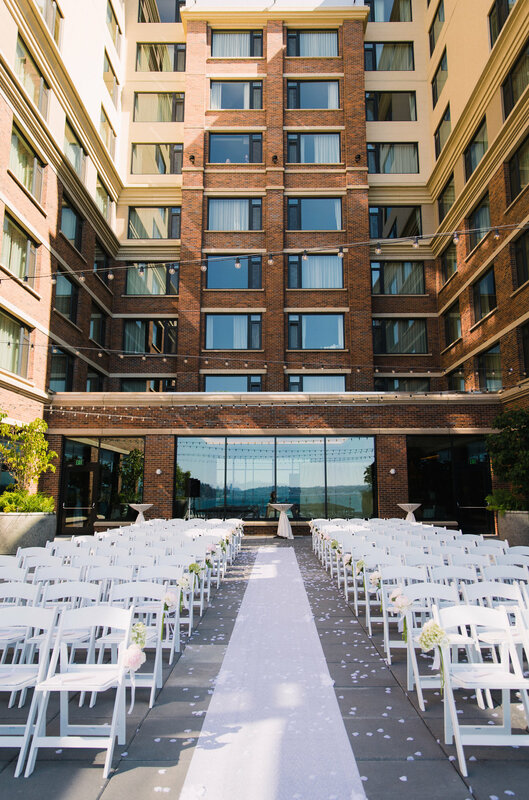 Large Urn Floral arrangements simply accented the gorgeous view of Lake Washington. 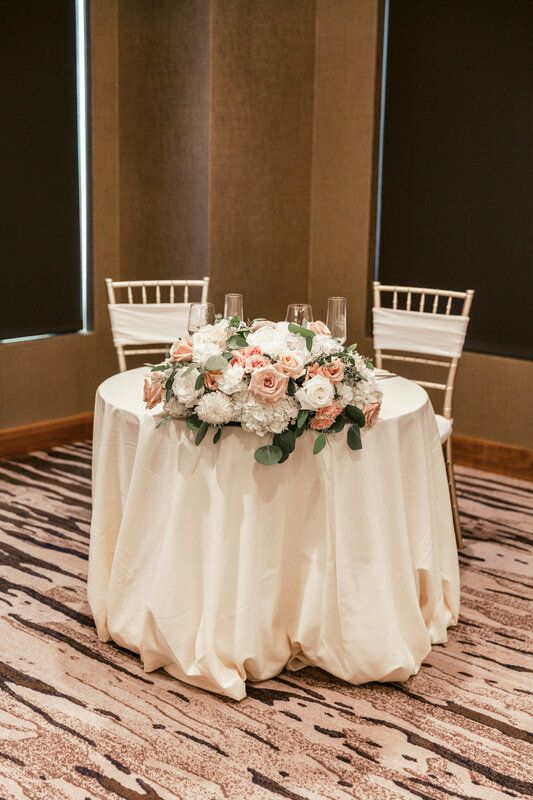 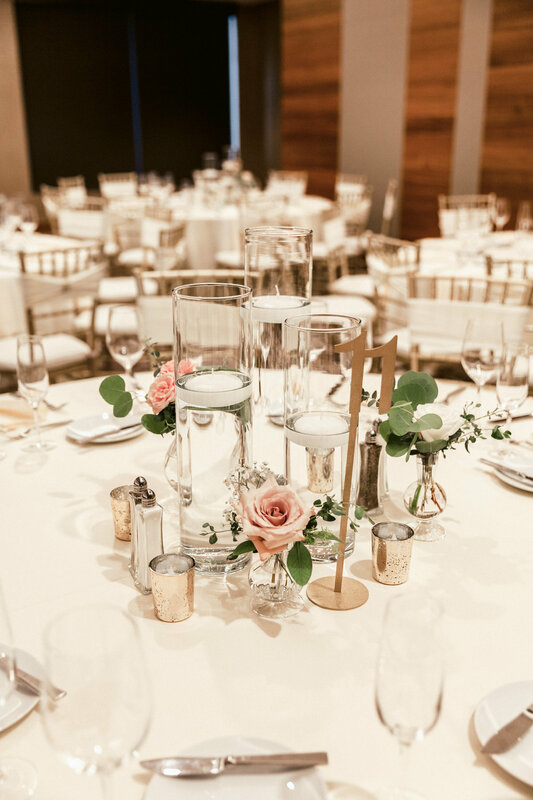 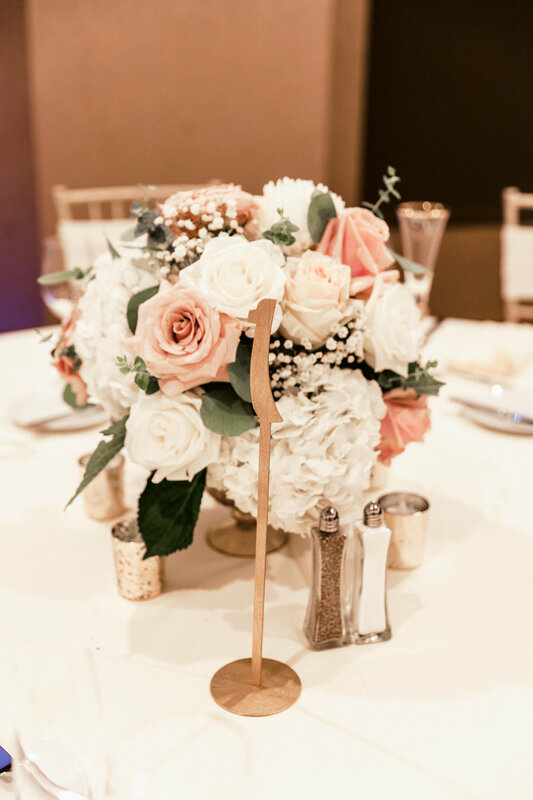 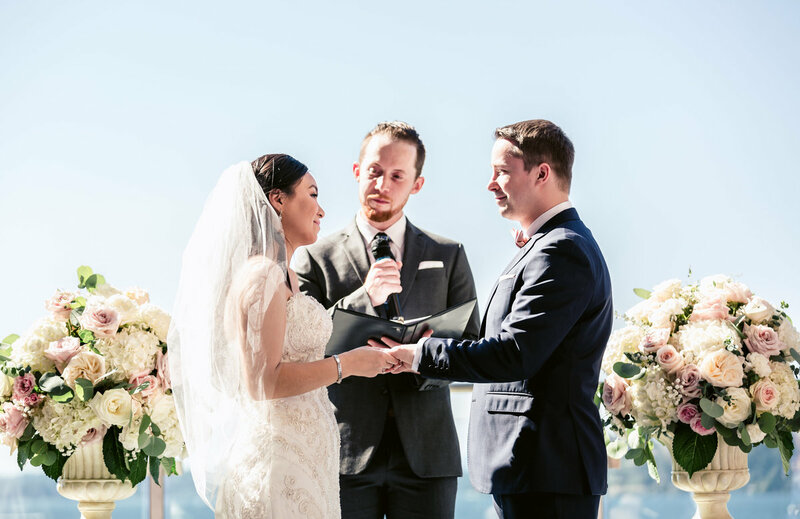 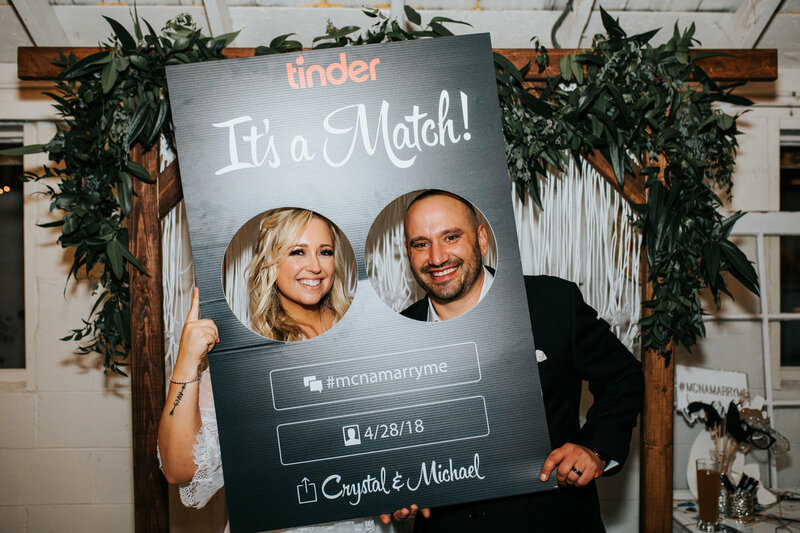 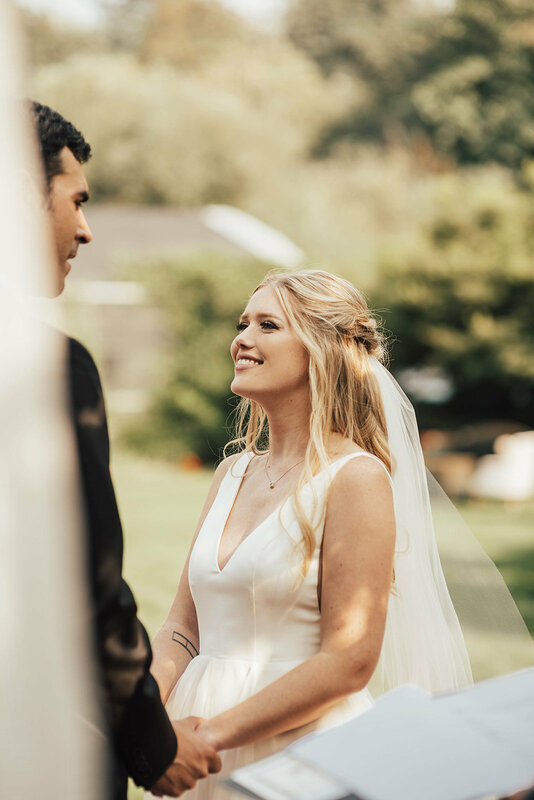 Centerpieces alternated between Gold Mercury Compotes and Floating Candles paired with Bud Vases, To say the least, it was a picturesque Summer Wedding for such a sweet and well deserving couple! 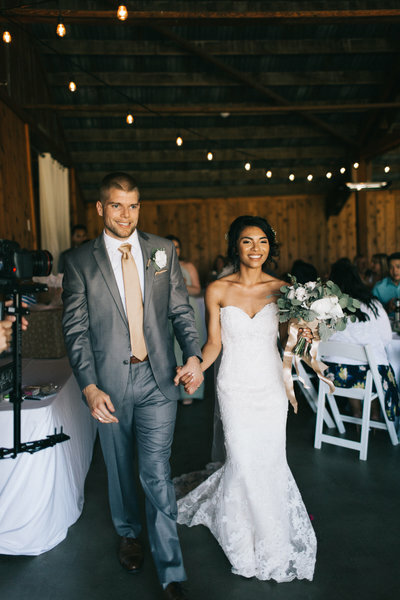 Photos of this day are coming soon :) In the meantime, enjoy this awesome vid by Noli so NSG Films! 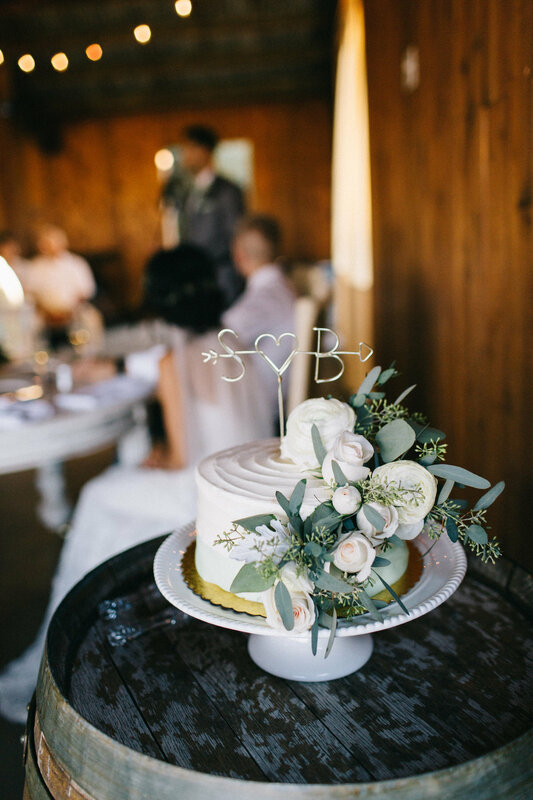 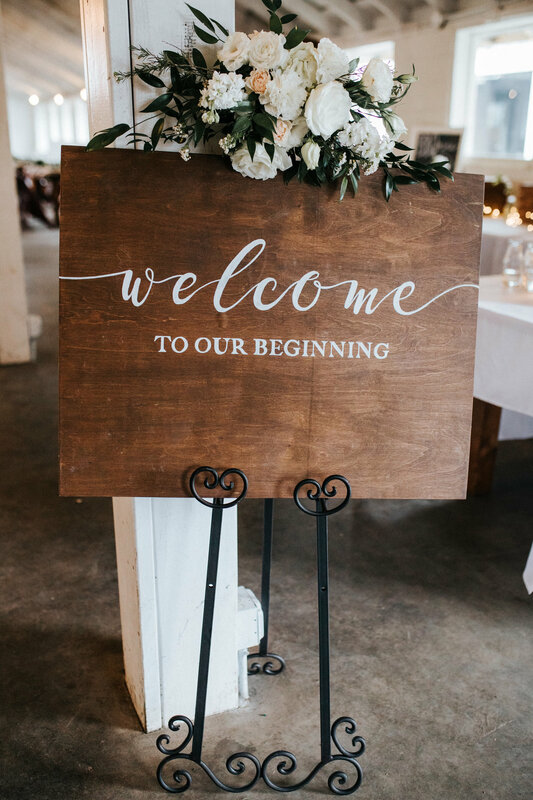 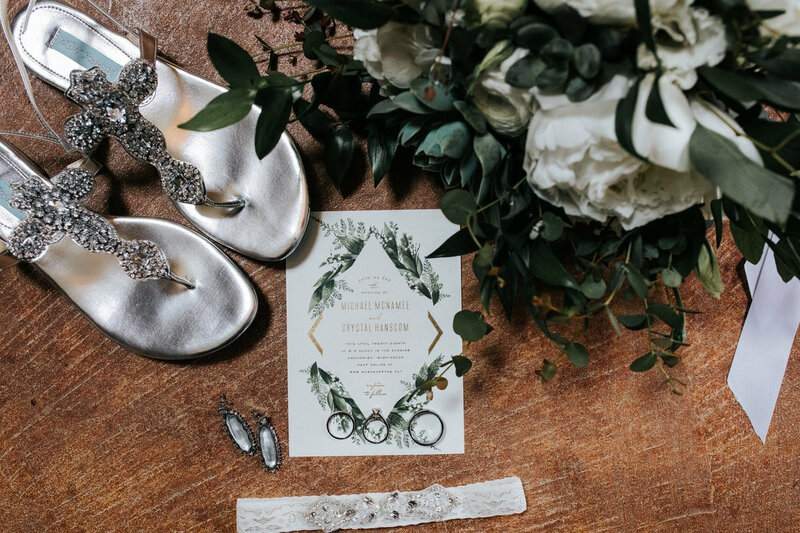 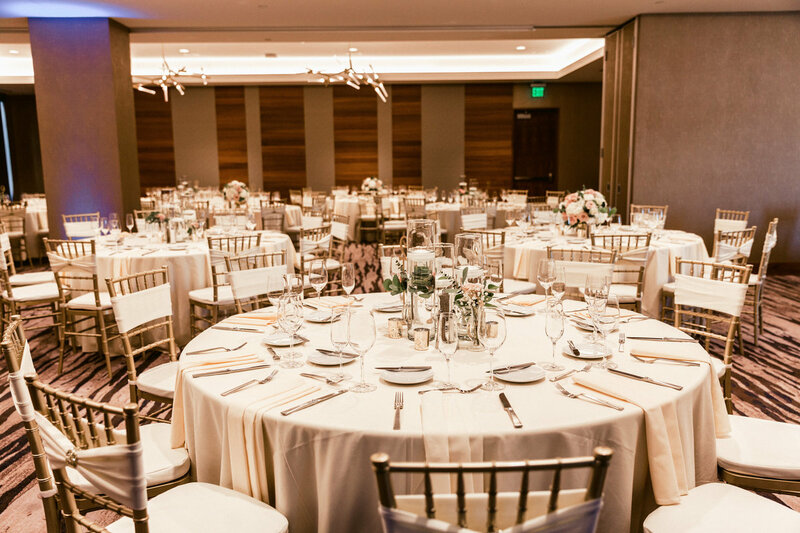 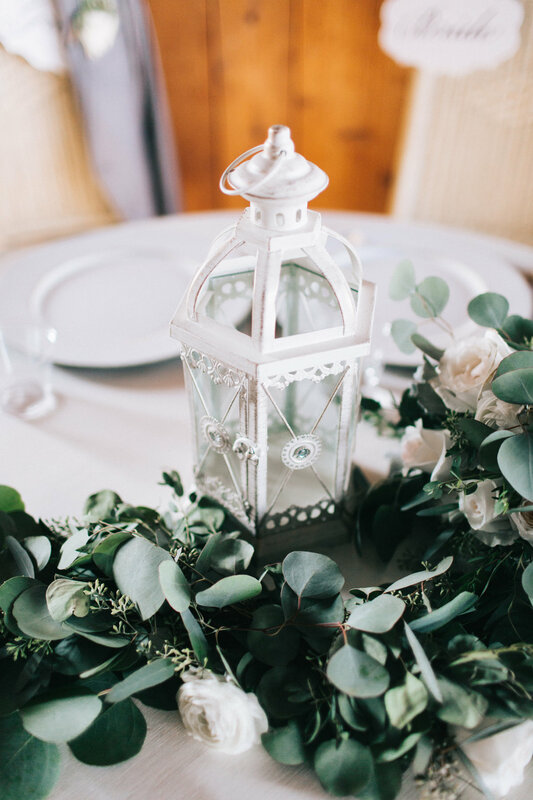 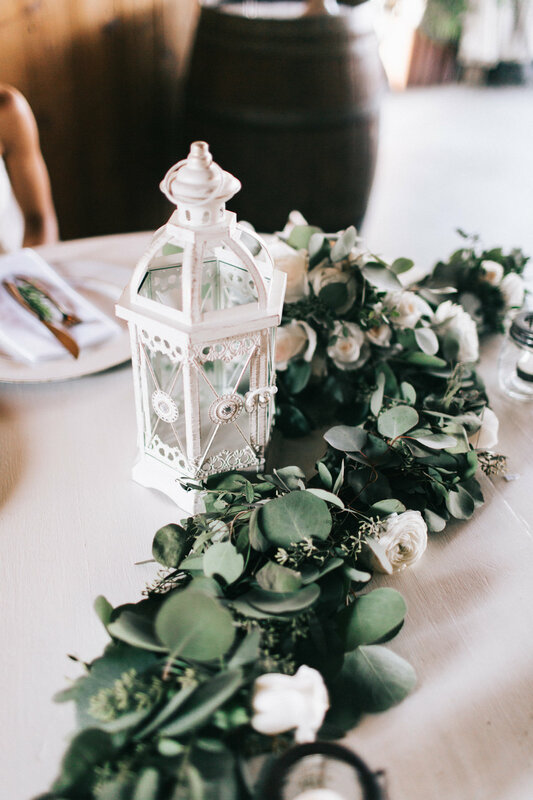 We hate to sound like a broken record but we LOVE working with a creamy neutral color palette and greenery garlands. 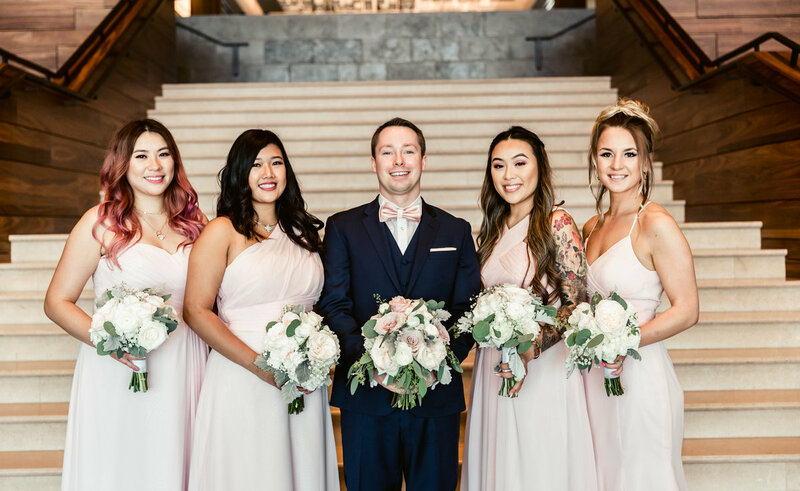 This wedding was another highlight of 2017. 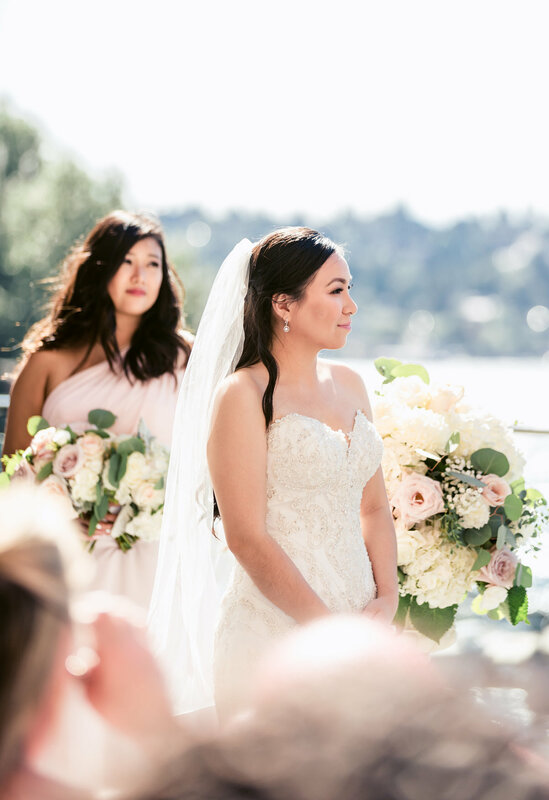 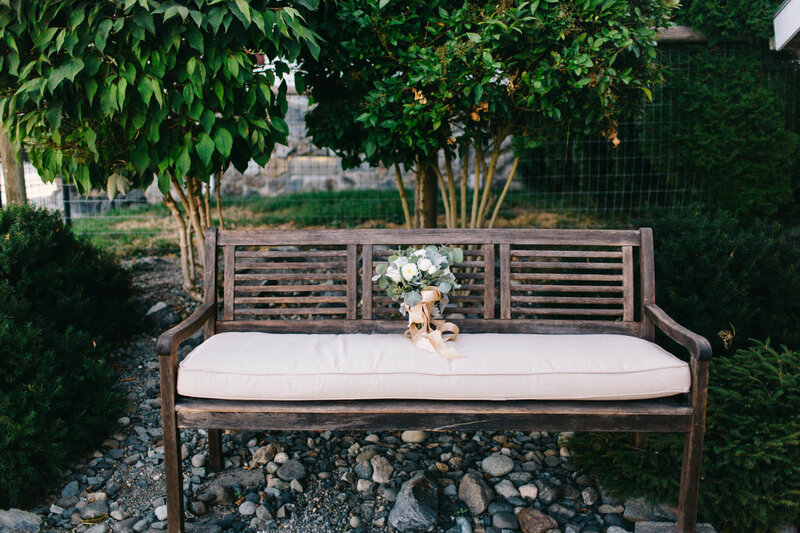 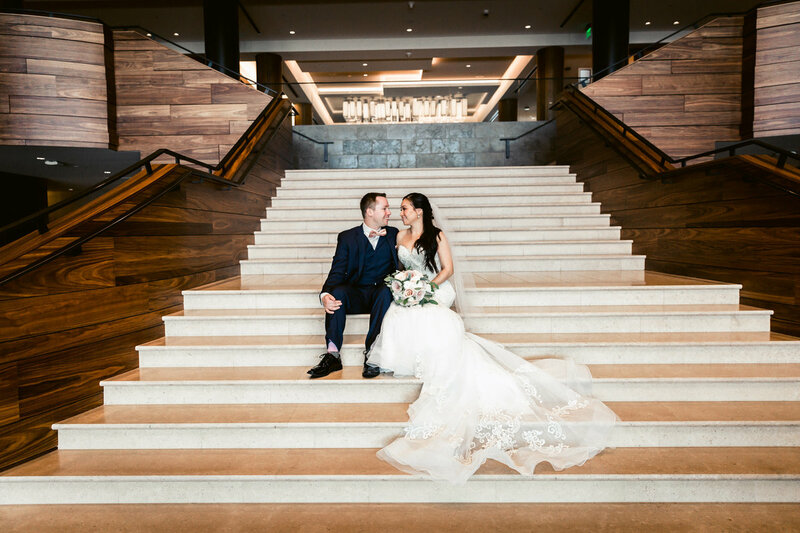 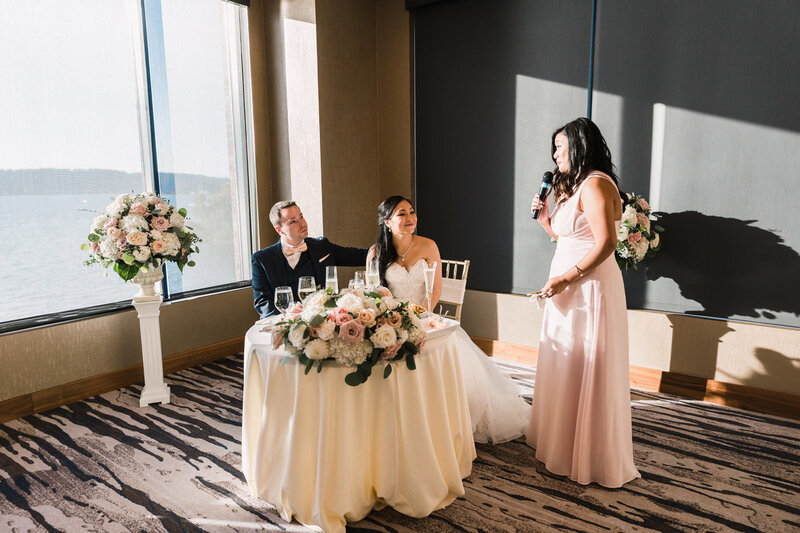 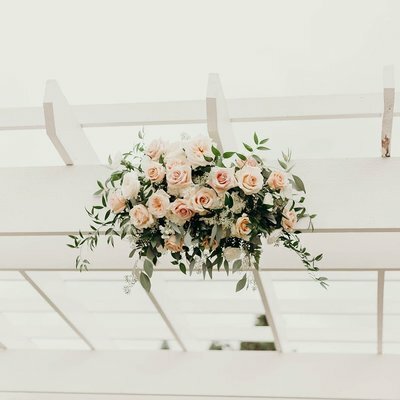 We're such fans of Katrina's photography and loved how she captured the day, especially photos of the Bride, Shauniece! 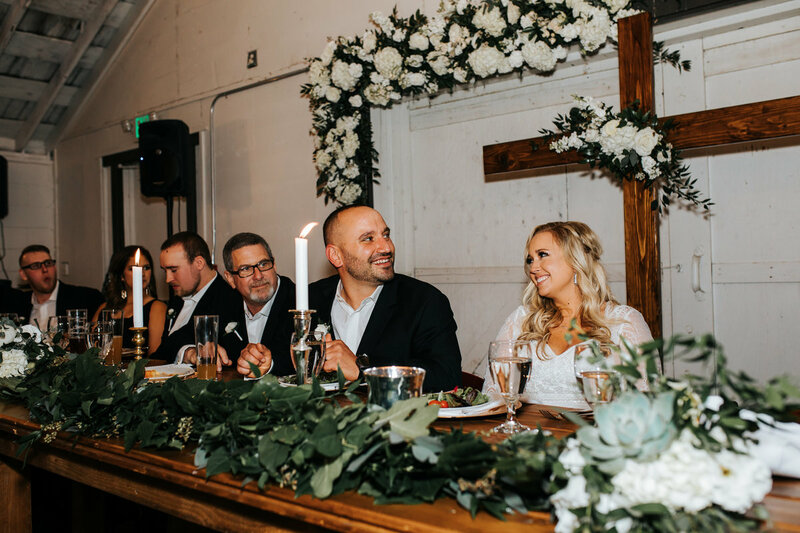 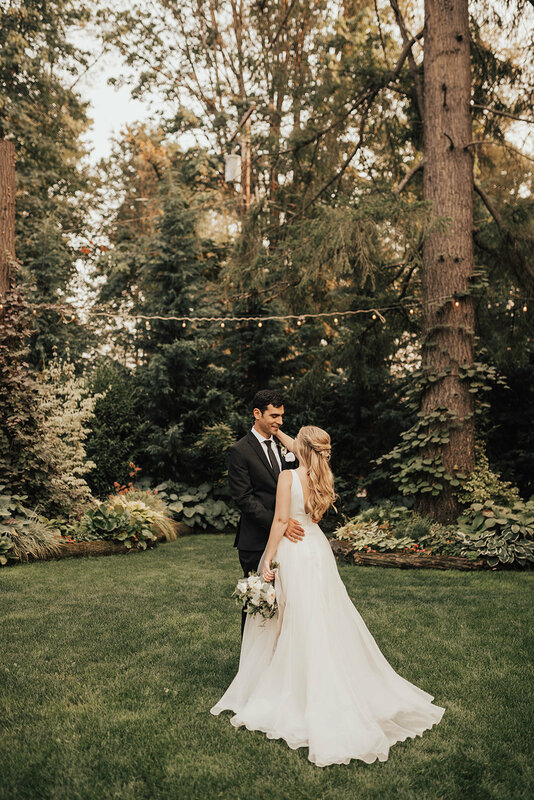 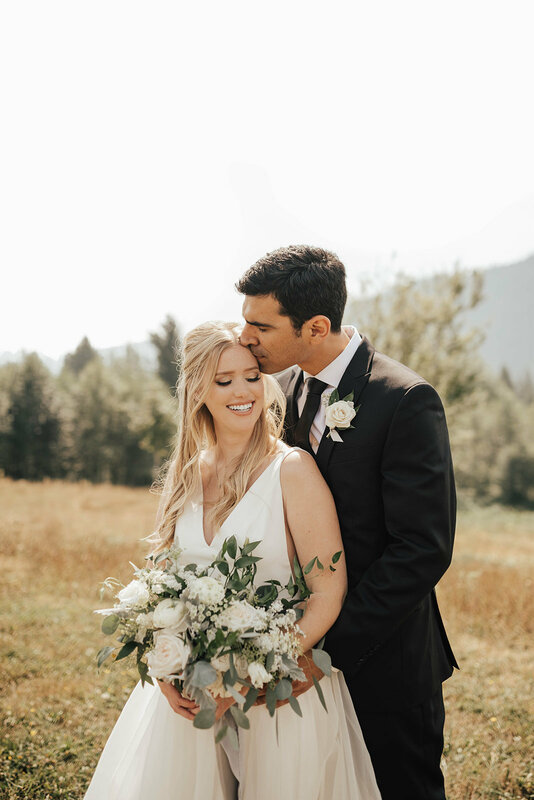 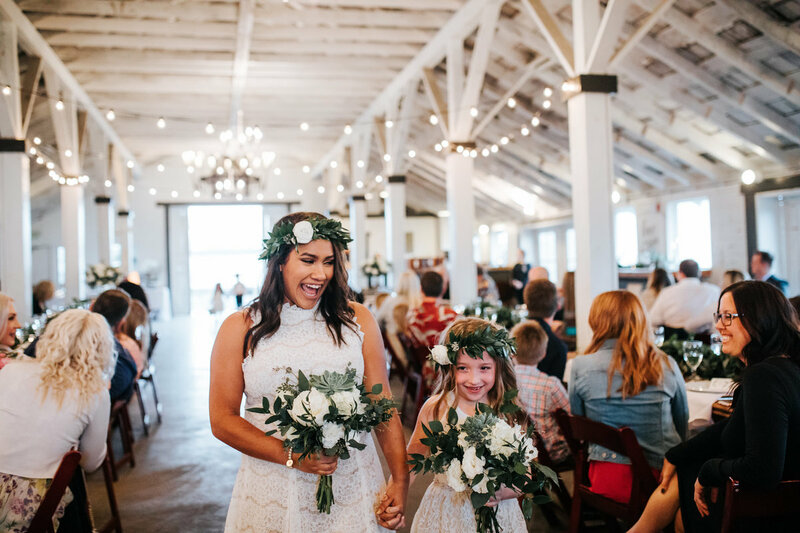 No stranger to white blooms and greenery garlands, this wedding was another highlight of 2017. 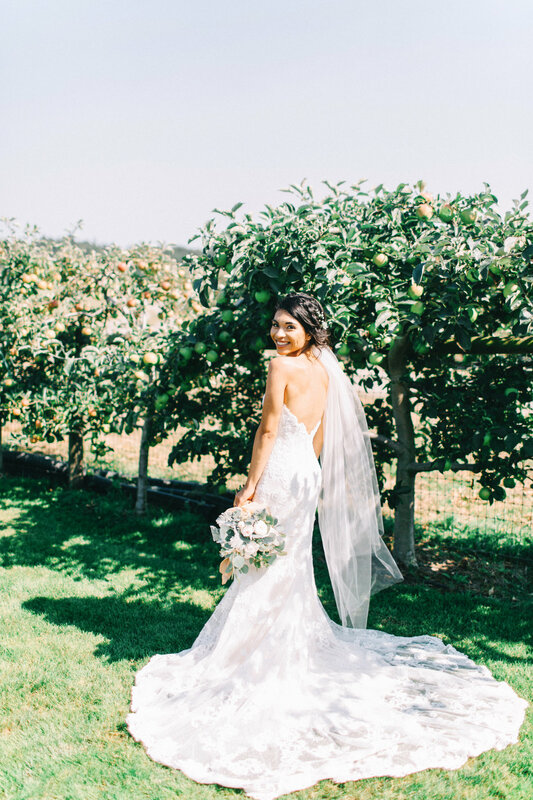 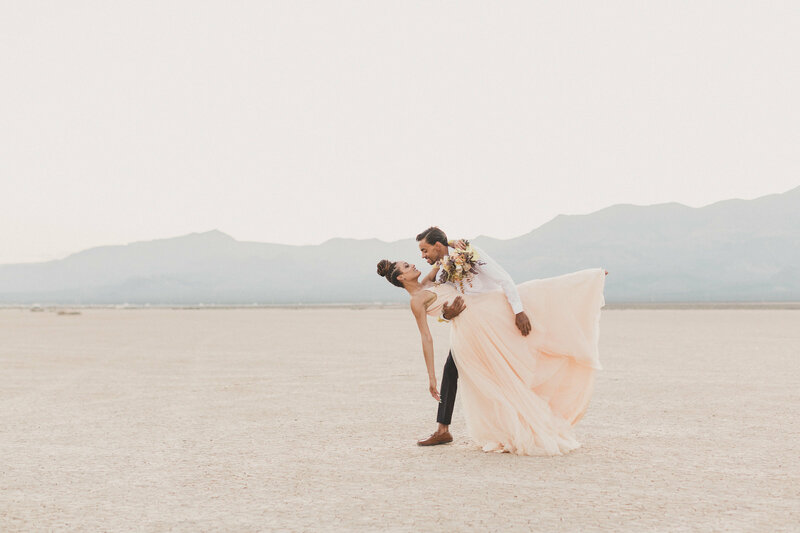 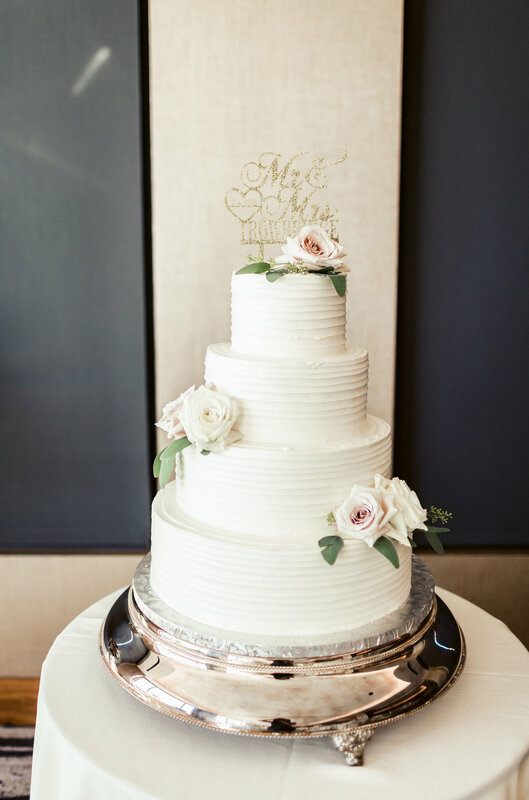 We are such fans of Katrina's work and loved how she captured the day, especially photos of the Bride, Shauniece!